Abraham is undoubtedly one of the best South African films ever made, a profound and consummate masterwork from industry legend, Jans Rautenbach that marks his first film in 30 years. It tells an unforgettable tale that will break your heart, a story that connects with who we are as South Africans and how we fit into the bigger scheme of things. 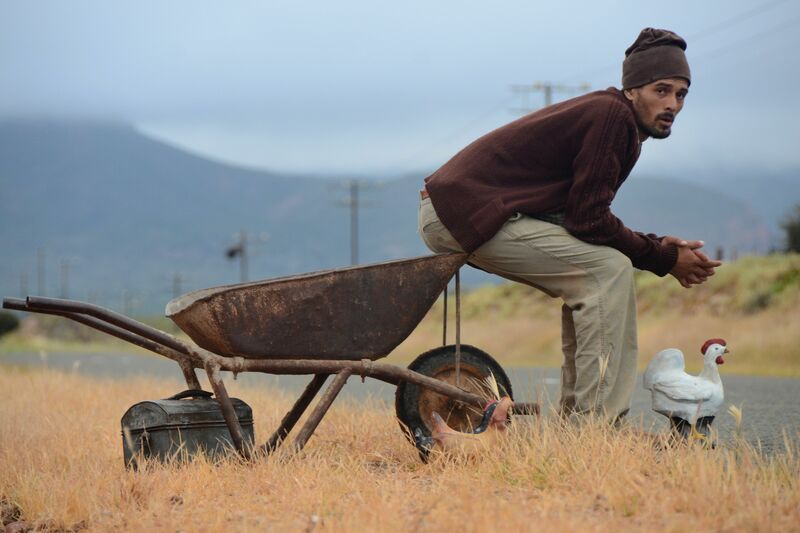 Dann-Jaques Mouton delivers a riveting performance as Abraham, an artist and dreamer from Kannaland in the early 1980’s; an area in the Little Karoo that stretches from the Swartberg in the north to the Langeberg in the south, and from the Anysberg in the west to the Gamkaberg in the east. Abraham is a dedicated husband and father who struggles to provide for his young wife Katie (a superb performance by Chantell Phillipus) and their four year old daughter. But through his creative determination and undying passion he finds patronage in Jong Jans (Hannes Muller) and his wife, Almeri (Franci Swanepoel). Muller delivers a sensitive and heartfelt performance as a young Jans Rautenbach, who travels from the big city where he works as a filmmaker, to the peace and serenity of his family in Kannaland. Rautenbach introduces us to the story and narrates it. It is as if he invites us into his home, his own personal space where he shares some wonderful memories of a past that shaped our future. When Abraham and Katie settle into their new home working for Jong Jans and Almeri, Abraham fiercely supports his wife who battles with mental illness and alcoholism, and fights his own ambitions as an artist. Abraham is a dreamer who wishes to rise above his station in life and make his mark on the world, but the harsh realities of his dire circumstances becomes the deterrent to his happiness. There are moments in the story where you can feel the story creeping into your soul. One such moment is when a drunken Katie lies passed out on a dirt road, resting her head on the lap of her four-year-old daughter as the fluid from her spirits bottle seeps into the dry earth. What makes this scene remarkable is that it does not only signify the emotional death of a woman who desperately cries out for understanding in a world that shuns her, but how the young girl finds life in the muddy soil and starts creating a clay figure, just as her father breathes life into wire frames sculpting glorious cement animals and birds. It’s an open and honest film that invites us to make sense of our lives in a world where those who live in the shadows of society have to survive on nothing but hope in their hearts, and those who own the world feed this desolate hopefulness with unimaginable dreams. Rautenbach powerfully reveals these two disparate worlds; one is filled with the shiny clutter of worldly possessions that form a shrine to Western art and culture and civilisation that is as cold as the stone it is built from, and the other world is a home that is warm and homely, where the comfort of a fire in the hearth and oil lamp illuminate the dark void of humble existence. The two extremes powerfully reminds one of how easy it is to observe the world from comfort and ease without ever getting involved in the lives of less fortunate people. Rautenbach takes us into the intimate spaces of these derelict lives, where happiness and love blossom and combat the harsh reality of outsiders who have no understanding of how difficult it is to be dirt poor. When Abraham receives as much as R1 for one of his cement chickens that he spent days crafting, he humbly dances with joy and is filled with the gratitude of millions. Abraham is grounded in an isolated reality that cuts you off from the rest of existence; like it’s characters, you are imprisoned by the world they live in in Kannaland, with cars and trucks cutting across the highway as an only reminder of life outside its horizon. It is a film you feel, and one you contentedly succumb to with utter joy. An inspiring and tragic tale, filled with an evocative music score by Riku Lätti that richly underscores the intimate mindscape of its rich characters’, Abraham offers an intimate and emotional viewing experience that is meaningful and will change your life, creating an awareness of how important it is to embrace our humanity and those who share our lives, even the strangers who dare to remind us of the unpleasant realities outside our comfort zones. The world deserves to see Abraham and hopefully it will be in consideration to be submitted for an Oscar in the Best Foreign film category. 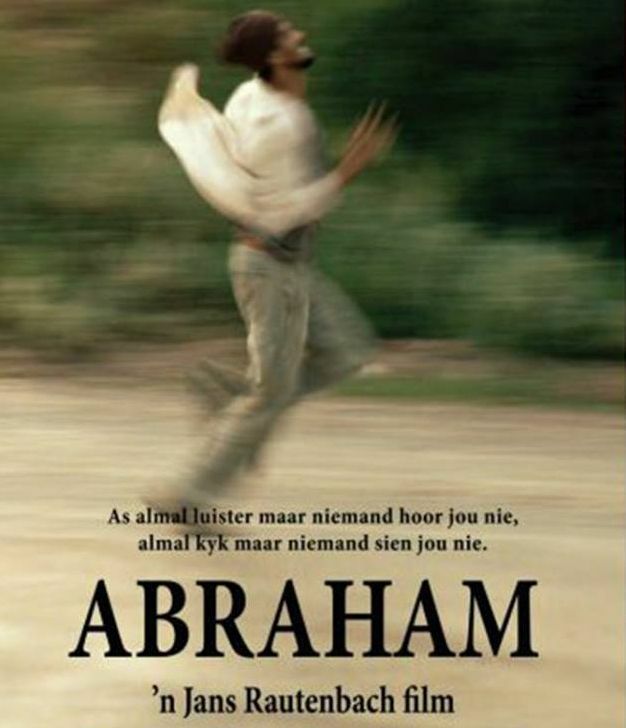 Abraham is in Afrikaans with English subtitles.